There are 2 posts tagged Traffic Congestion. 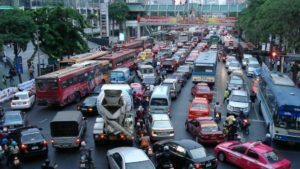 Traffic Congestion to most people means, a motionless slow moving line of vehicles leading to driver frustration and in some cases road rage. 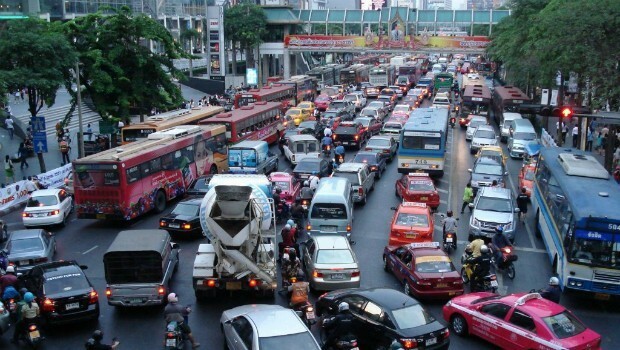 Congestion has many negative social, environmental and economic impacts and its one of the many challenges facing Traffic Engineers. 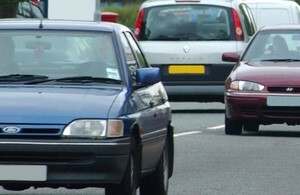 Understanding the future demand for road travel and congestion is therefore a key requirement in being able to tackle it. Airscan by Iknaia, is a new unique sensor monitoring solution that enables Traffic Engineers to analyse traffic queues and congestion in an efficient way and present live journey times to drivers. Airscan monitors the Bluetooth and Wi-Fi ids in anonymous vehicles and provides real-time information about changes in traffic flows. With Airscan installed Traffic Engineers can quickly analyse the data and identify congested areas. This will help make judgements to divert traffic to other routes and plan future roads infrastructure. Airscan data can be presented to signs and phones to keep drivers fully informed of the impact of any incidents or diversion routes. Data collected by each Airscan unit is pushed to the cloud using 3G/4G connectivity and presented in real-time to an online dashboard optimised for PC, tablets and all mobile devices. Activity reports can be viewed, and push notifications can be set up to alert key management personnel and ensure they are made aware of incidents as they occur. Airscan is compatible with multiple third party products including variable message signs and it is also fully integrated into the Iknaia Intelligent Tracking solution to enable location monitoring of the workforce and assets.